Introducing an older child to a new baby can be stressful for parents and very confusing for kids. Thankfully, there are a TON of ways to make that process a little more seamless and stress-free. It really all depends on your parenting style. With that said, here are a few things I did when introducing my second son, Austin, to my first, Ansel, that made the transition process a little bit easier. 1. Use your pregnancy as a nine-month long introductory period. Let your child give your belly kisses and refer to it as “the baby” so they will get used to the idea of loving their future sibling before they even arrive. 2. Everyone gets a baby. Before your due date you should give your child a stuffed animal or baby doll so they can practice taking care of their own baby. This is great for your older child because once you have your new child you can help ease the feelings of jealousy by letting them hold a “baby” while you’re also taking care of your newborn. On that same note, it’s also crucial you allow the older sibling or siblings to help take care of the new baby — easy things like putting the pacifier in your newborn’s mouth or putting away their clothes — so they feel included and not ignored by their new situation. 3. A neutral first introduction is a must. Ideally, neither parent should be holding the newborn baby when your oldest child meets them for the first time. To avoid jealousy or any other negative interactions, it’s best to have the baby in a neutral place — like a bassinet — and to approach together. This enables solidarity between you and your older child that you are choosing to “meet” the baby together instead of forcing an introduction. 4. Make sure visitors are courteous and thoughtful of the older child or children. If you have family or close friends stopping by to meet your baby for the first time and you know they plan to bring a gift for the baby, ask them to bring a little something special for the older child as well so they feel special and not neglected. If that’s not possible, wait to open the gift out of sight of your older children to avoid upsetting them. 5. Shared activities are a necessity. This will, without a doubt, happen naturally as there’s only so much time in the day, but try to do things with the siblings together (i.e. bathtime, meals, clean up, etc.). This promotes bonding and play between them. One of Ansel and Austin’s favorite things to do together is bathtime. They love splashing each other with water. 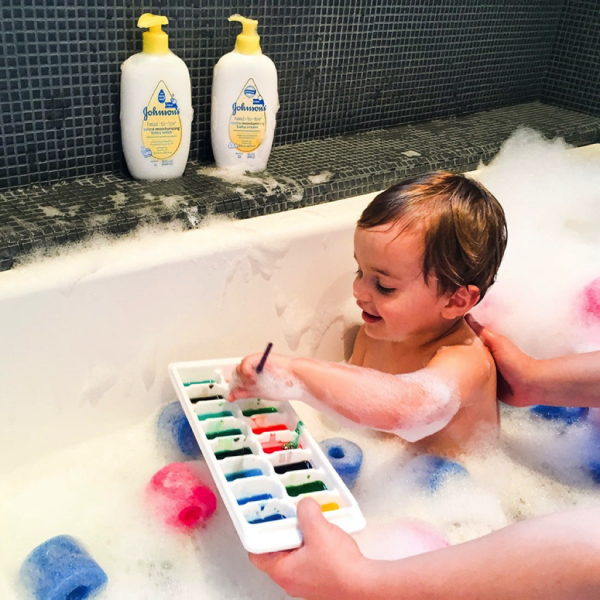 Ansel loves helping bathe Austin (his favorite thing to do is pour out like *way too much* JOHNSON’S® HEAD-TO-TOE® extra moisturizing baby wash, creating a super bubble bath). The giggles during bathtime are endless. It’s so cute to watch them build a relationship with one another during these simple moments. 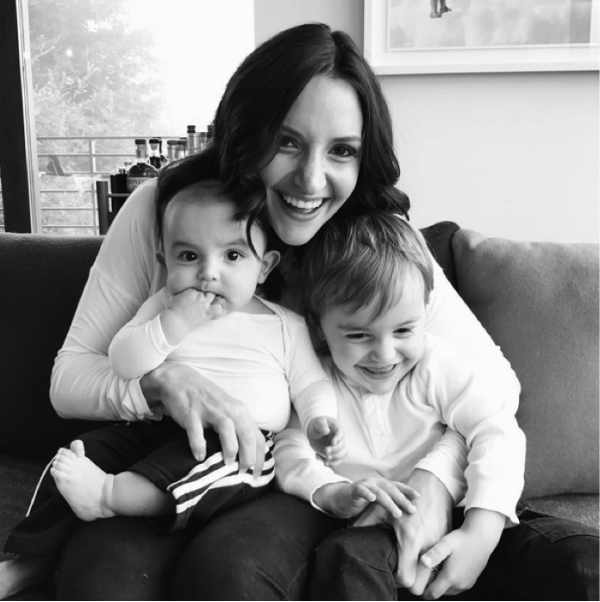 Brit Morin is the founder & CEO of Brit + Co, a new media and commerce company that enables creativity among women and girls through inspirational content, online classes and do-it-yourself kits. Brit is a contributor for JOHNSON’S®, the sponsor of this community, and compensated for travel and attendance at events. Every idea and word written is her own.